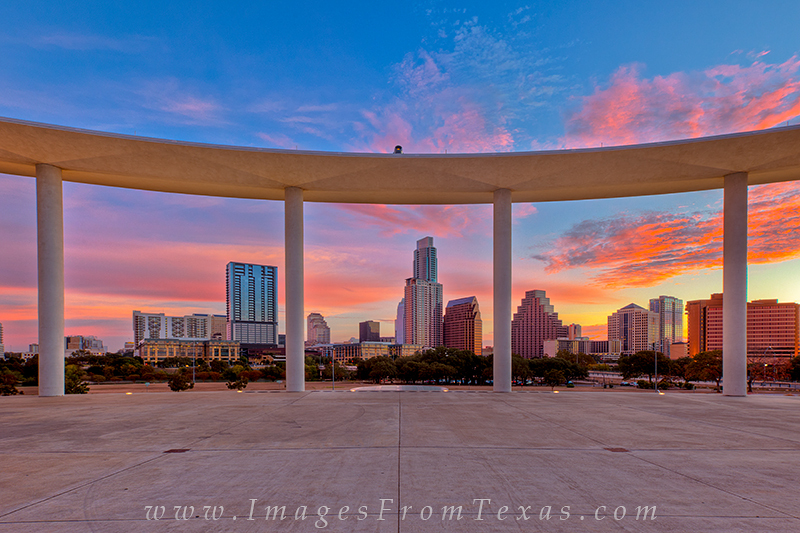 From the patio of the Long Center, the Austin Skyline lights up just before sunrise. Between the Long Center and downtown Austin is Ladybird Lake, which is pretty quiet at this time of morning except for scullers. In the Austin cityscape, the Austonian (the tallest building in Austin) and the 360 Condos are prominent. Photo © copyright by Rob Greebon.